Using a power washer lets you clean spots and spaces you once thought were impossible to get. They make the cleaning process much easier for you. Plus, cleaning with a pressure washer is fun. But, power washers can be a big investment. If you are on the fence about investing in a power washer, or you already use one, you might not know all of its best uses. Whether through renting or owning, here are the many (and interesting!) power washer uses you need to know about. Cleaning your grill is an essential part of the cooking process. After a long winter, any responsible grill-owner knows they should clean their machine before cooking up any barbecue. Scrubbing with hand-held tools is effective, but takes a long time. Power washing your grill cuts down the time you invest in cleaning, cleans better and lets you keep your hands coal-free. Sometimes, the things that need cleaning the most are the hardest to clean. It’s not always that they are stuck in weird places or heavy or hard to reach. A certain substance might just creep you out. A power washer lets you keep your distance while cleaning the nastier messes you come across. Maybe the dog slipped-up on the patio. Maybe your neighbor’s son didn’t like his dinner, and let you know on your front yard. More common scenarios arise all the time. Mold and moss, for example, can also build up in different areas in your home. Cleaning these substances can be gross, but more importantly, can be unsafe. A power washer lets you clean anything from a few feet away. That means you can eliminate mold and mildew in a few sanitary seconds. You might already be using your power washer to clean away grime that builds up on your deck. You should consider spending a little more time on the deck. Used correctly, a power washer can show reveal colors you haven’t seen in years. A deck left uncleaned or poorly cleaned can allow mold and mildew to build up, which can lead to rot. Down the road, replacing a rotten deck is a whole lot more costly than investing in a power cleaner. If you are lucky enough to own a boat, a power washer is an essential tool for cleaning. Some objects are easier to clean with a power washer. A boat is another matter. It is simply very difficult to clean a boat easily with your hands. A power washer allows you to easier access and more effective cleaning methods. Your boat will look better after power washing, but it will also be healthier. Instead of spending hours performing ineffective and/or dangerous methods of cleaning, you have cleaned the outside of your boat in a safe and environmentally-friendly way. Power washing can wash away build-up of bacteria and other substances that wear down the materials in your boat over time and require boat maintenance. Your boat life can be extended by years this way. Keeping your roof clean is an important step to creating a safer and more sightly home. And, it looks a whole lot better. Leaves, branches, and general grime build up on your roof if left unattended. That mess on top of your house looks bad, and it also can weaken your roof over time. That might allow for water damage. Cleaning your roof is an essential activity. Without any equipment, it’s nearly impossible. With basic hand-held tools, it’s very difficult. With a power cleaner, it’s infinitely easier. Imagine standing on your lawn and pointing the cleaner up. A few minutes later, your roof is clean. A power cleaner takes away the danger of scaling your house and makes the job easier overall. Pests can make any living situation more difficult. First, they invade and damage your living space or make it dangerous. Then, when you call an exterminator to remove them, you are hit with a big bill. Plus, eliminating pests often leads to pesticides which are dangerous. 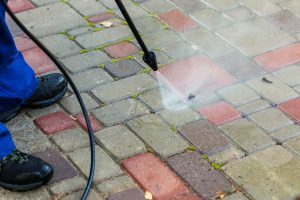 Preventing the invasion of rodents and other pests is one of the most essential power washer uses. First, deep cleaning can prevent the appearance of most anything, from hornets to rats. But what happens if they are already there? It is difficult and non-advisable to use a power washer to exterminate animals inside your home. But, in some instances, a power washer can be of use. A bee hive, for instance, is high up enough that you can stand far away from it and use the power washer. Safely, you can knock down the bee hive with the power washer. Then, your yard will once again be a place you want to be! Tree branches might not seem very threatening. Usually, they’re not. The truth is that they will age and have the potential to fall. Falling tree branches are no joke. Even the New York Times has talked about how dangerous they can be to unsuspecting pedestrians. While the probability is slim, there is the chance that tree limbs fall into your backyard. There is also the slim chance you will be standing underneath them. For the avoidance of doubt, when you spot tree branches, can allow you to knock down the branch into the yard. That’s right–it’s one of the power washer uses that makes you safer. People with experience fishing know that cleaning your fish is not usually a highlight of the day. Some people don’t like the time it takes to clean and gut your fish. The fishermen with even less experience, or somebody who got dragged along, might be hesitant to touch them to begin with. Among the most creative power wash uses, cleaning your fresh fish while barely laying a finger on it is now a possibility. The practice is trending online on sites like YouTube. For those who don’t catch their meals in the ocean, different power washer uses can still come in handy in the cooking process. Washing vegetables under a kitchen sink can eat away your time and kitchen space. The next time you are preparing to cook for a dinner party, put all your vegetables in a big pot and take them outside by your washer. Softly blast them under the power washer. This will clean them in a fraction of the normal time. The same can be done for raw meats or any other food you are working into your delicious meal. You might not always think to wash the outside of your home. Windows are one thing, but the exterior itself? It’s not that common to wash your outside walls. But your neighbors see those, too! If you have thought to wash your exterior walls, it’s likely that you spent a long few hours manually scrubbing or using a garden hose to little or no avail. It’s another of many power washer uses that makes your life easier. It’s important to put your washer on a high enough setting to be effective, but not too high. Too much pressure behind your power washer can lead to wear and tear on certain materials like concrete. Fences are yet another entry in the category of things that are difficult to wash, but easy with a power washer. Scrubbing down your fence by hand is such a long task that many simply don’t try. Have you cleaned your fence? If so, would it be easier if a machine blasting warm water and cleaning material did it for you? Cleaning your fence might be one of the easiest power washer uses, but that does not mean it isn’t effective and even fun. Soon, your fence will lose the dirt and find its color once again. Fence repair, surprisingly, is another of many important power washer uses. Before any repairs can be done to your fence, particularly if it’s wooden, you need to clean it down very well. Using your power washer is the best way to achieve that cleanliness. The truth is that your gutter doesn’t have to be dirty. You might already know this, and maybe you spent some time on a ladder trying to scoop out old leaves and dirt from the gutter. A power washer can make this job much easier. For as little as twenty dollars, you can purchase a physical add-on to your power washer. With that addition, your power washer becomes a tool for cleaning your gutters, which makes your house safer. Clogged gutters can lead to damage in your house from excess water build up. Save yourself the bucks long-term and invest in a power washer. A power washer can make your life easier and cleaner in many different ways. There are a wide variety of power washer uses. You know a few, but you’ll keep finding them as you use the machine more. 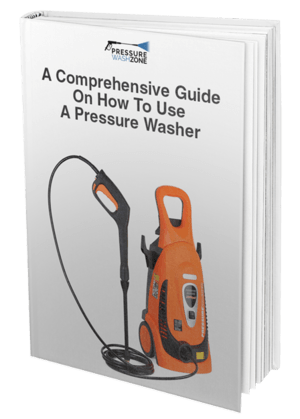 Feel free to continue reading to find out more information about power washer uses.